It’s now only 20 days until Christmas, OMG! Our Christmas tree is going up tomorrow and we’ve done most of our Christmas shopping, so it’s definitely time to start thinking about Christmas jumpers! 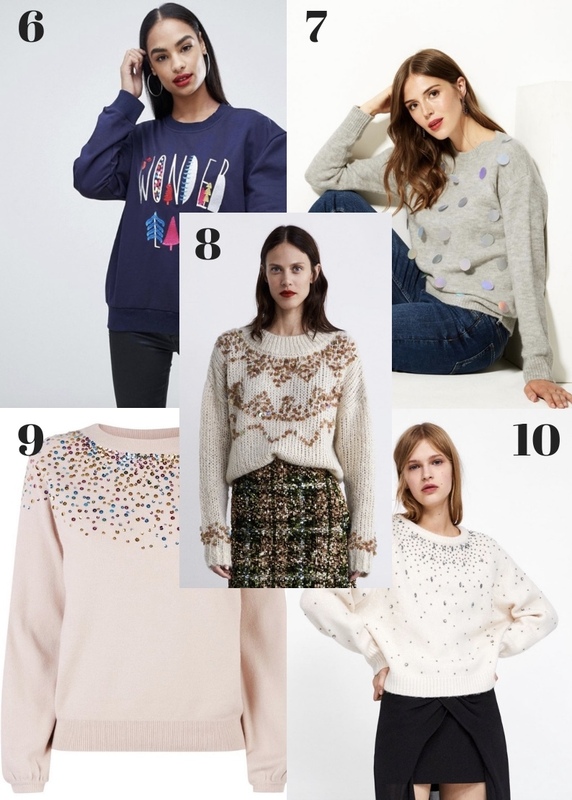 If you haven’t got yours sorted already, I’ve put together a roundup of the best jumpers that are available this year. I hope that you find it useful. 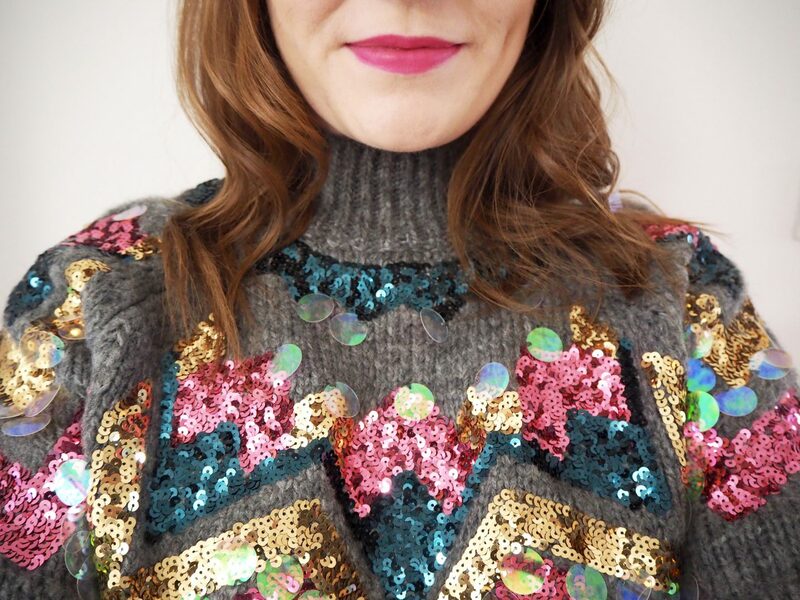 I popped into Tesco today and picked up the jumper in the photo above and I just love it! They did have quite a few gorgeous jumpers in, but as they don’t sell online anymore I’ve not been able to include them in this post. But I would definitely recommend going in and having a look for yourself if you’re in the market for an embellished jumper. 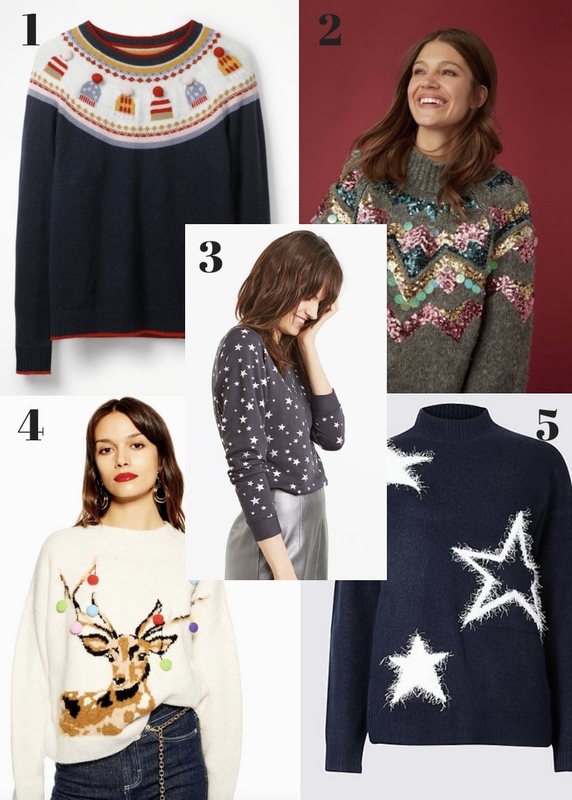 This post has been quite tricky to put together actually because not only are there LOADS of gorgeous Christmas jumpers around just now, but also a lot of them are sold out. I’ve picked out a range of jumpers that at the time of writing this post were fully stocked in most sizes. I’ve also gone for some pretty OTT Christmas jumpers as well as some more understated ones, so there should be something to suit most people’s style and budget. What do you think to these jumpers? Which one is your favourite?